Stay in comfort facing the ocean! 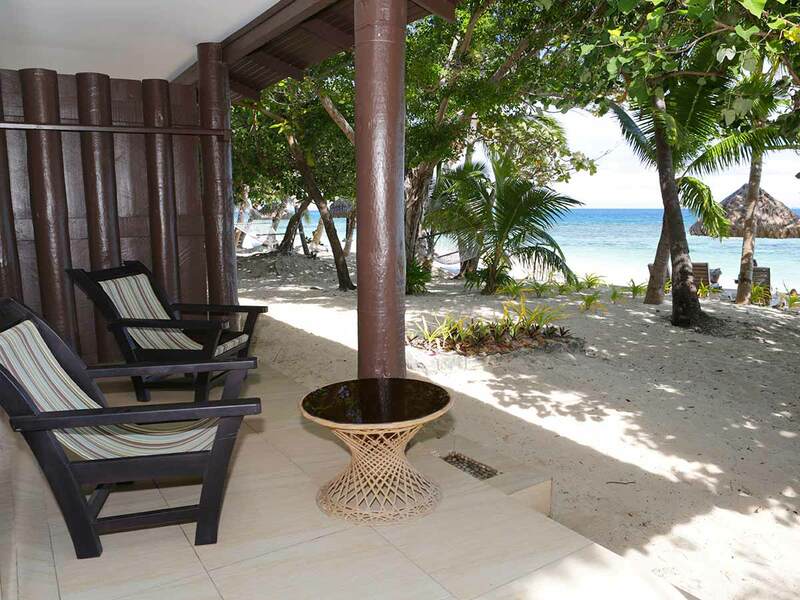 Spend 7 nights in an Oceanview Bure and be surrounded with natural light! Decorated with modern furnishings and a relaxing colour palette, you’ll sink easily into a world of absolute island perfection! We’ll get you to and from your holiday with no troubles – all you need to do is pack your bag and make your way to the airport! Enjoy return economy flights including checked luggage in the price! Get more out of your holiday with FJD $300 Resort Credit! This Flight Centre Exclusives bonus will sweeten your holiday experience. Whether you want to put it toward meals, drinks, or anything else at the resort, treat yourself to something extra on us! Feast on this! 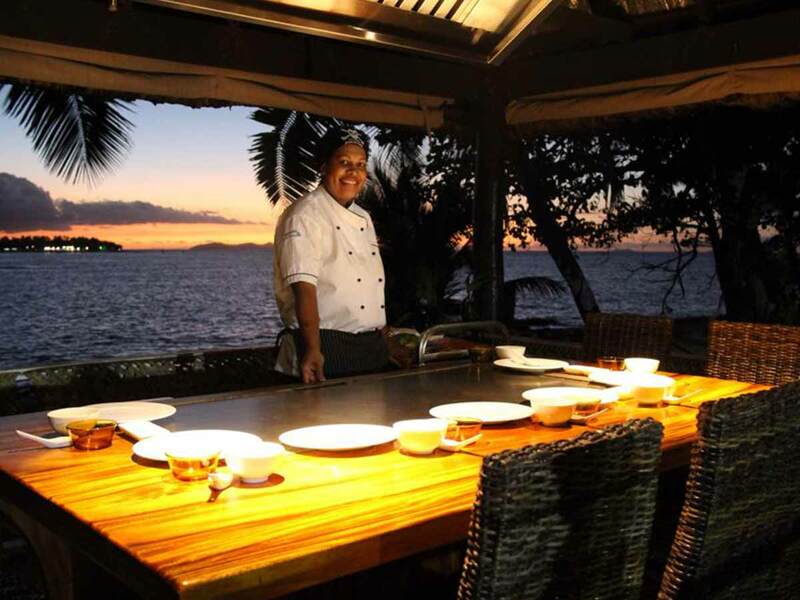 During your stay, enjoy 2 mouth-watering dinners for two served at Treasure Island Fiji. So take a seat, relax and let the talented chefs at Eluvuka Restaurant spoil you! You can still explore the beauty of the Fijian underwaters without actually getting wet by taking a 1x semi-submersible tour! 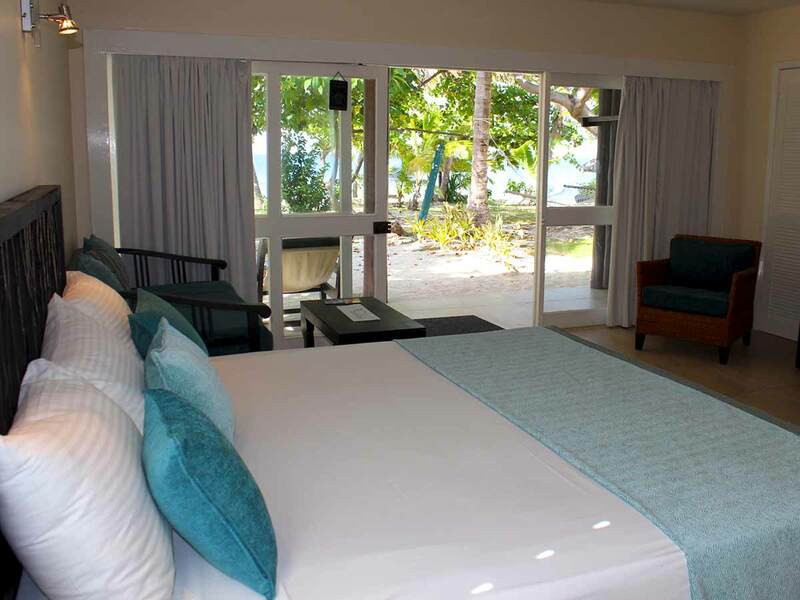 With wide viewing windows, feast your eyes on a variety of coral and an abundance of colourful fish. We all get a little thirsty and peckish after a long flight, and there’s nothing that says ‘holiday’ like a bottle of wine and a variety of tropical fruits waiting for you to sip and munch on when you arrive at Treasure Island Resort Fiji! Snack away after your check-in! Who doesn’t love being pampered? Indulge in a 2x 15-minute foot ritual session per adult from the best therapists at Senikai Day Spa! Travelling with kids doesn’t have to be expensive. With this bonus, even the fussiest little eater will be satisfied! Kids can eat for free off the kids menu, stay for free when accompanied by an adult, and play for free at the Kids’ Club! Ever wanted to try diving but not known where to start! With this complimentary introduction to scuba diving held in the safety of the resort’s pool, you’ll walk away eager and ready to try the real thing. After a long day sometimes all you need is a pick me up! When that happens, we’ll have your back! Enjoy afternoon tea on us every day of your holiday. Come for the drinks but stay for the food! Enjoy a selection of canapes on us during happy hour each day! 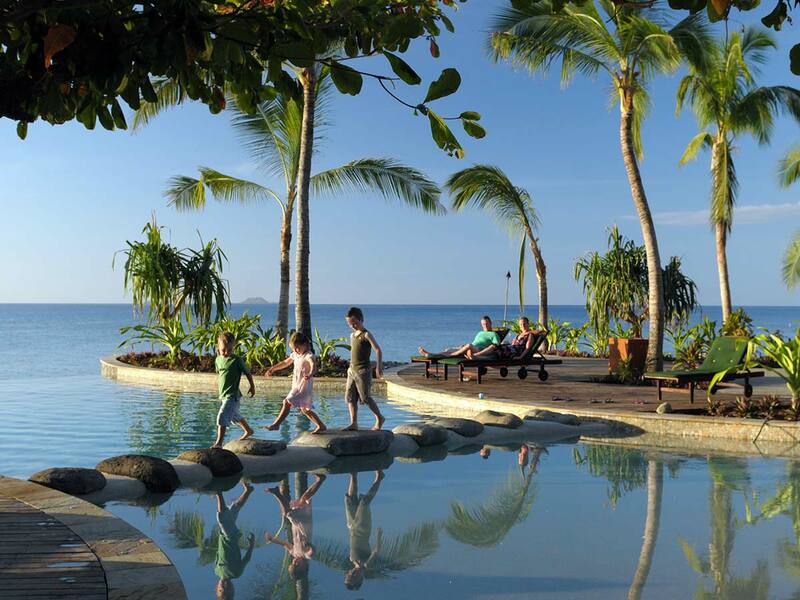 You’ll never be short of something to do when you stay at Treasure Island Resort, Fiji. Attend the Management Cocktail Party at Treasure Island Resort Fiji on a Wednesday night and enjoy a good drink with great company. Immerse yourself in island culture and have an authentic Fijian experience this holiday. 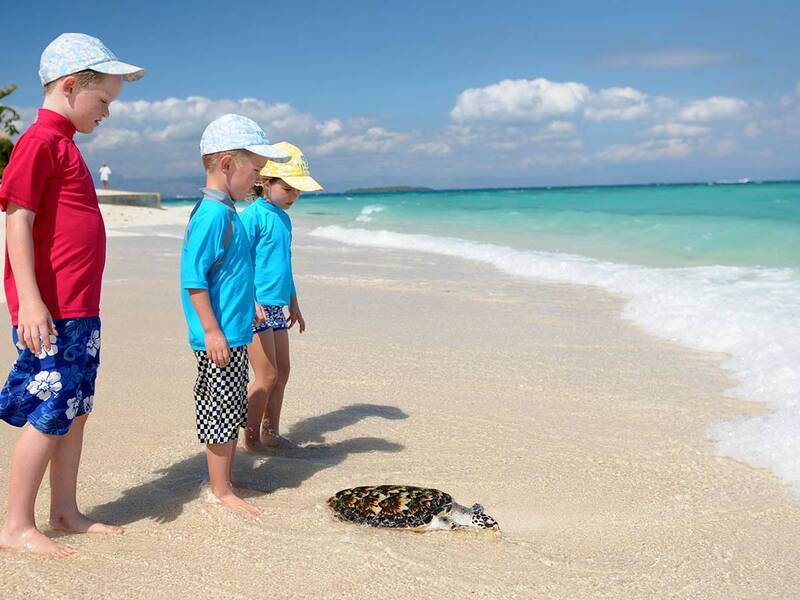 Be involved in cultural programs held by the resort, including Fijian Cooking, Herbal Medicine demonstrations, turtle feeding, or simply enjoy the great range of nightly entertainment on offer. Splash through the waters that surround Treasure Island Resort and make use of the resorts non-motorised sports equipment including kayaks, stand up paddle boards & more! Stay active this holiday and take advantage of the range of activities around Treasure Island Resort including volleyball, touch rugby, and so much more! 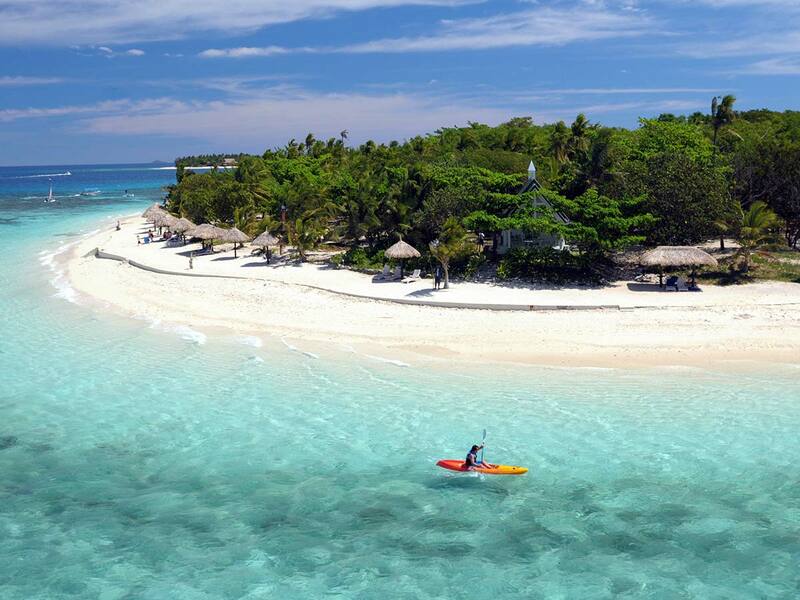 Experience the perfect island getaway at the beautiful Treasure Island Fiji. This stunning resort sits on its own private island in Fiji’s Mamanuca chain. 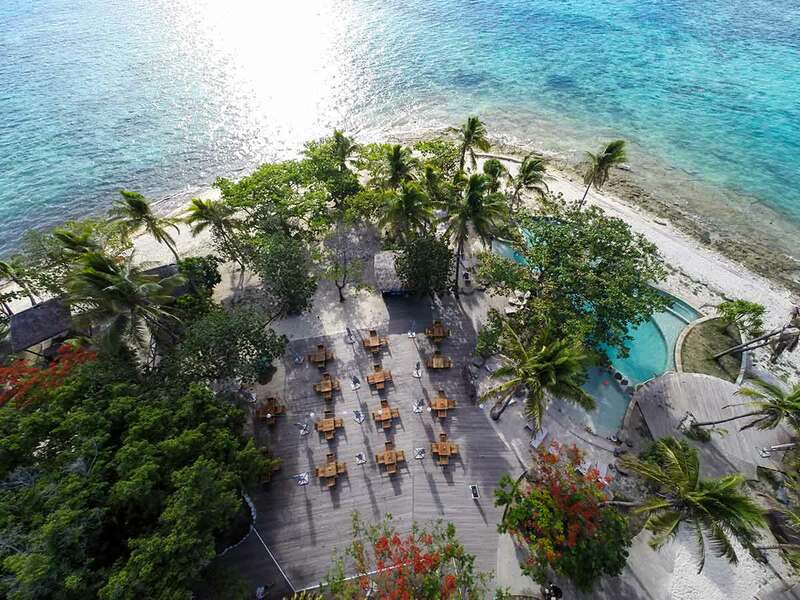 It is surrounded by pristine white sands and clear warm waters and guests can enjoy swimming and snorkelling in the impressive marine sanctuary that surrounds it. Treasure Island Fiji was the first Mamanuca Island to establish a marine sanctuary and the resort is well known for its incredible conservation efforts. 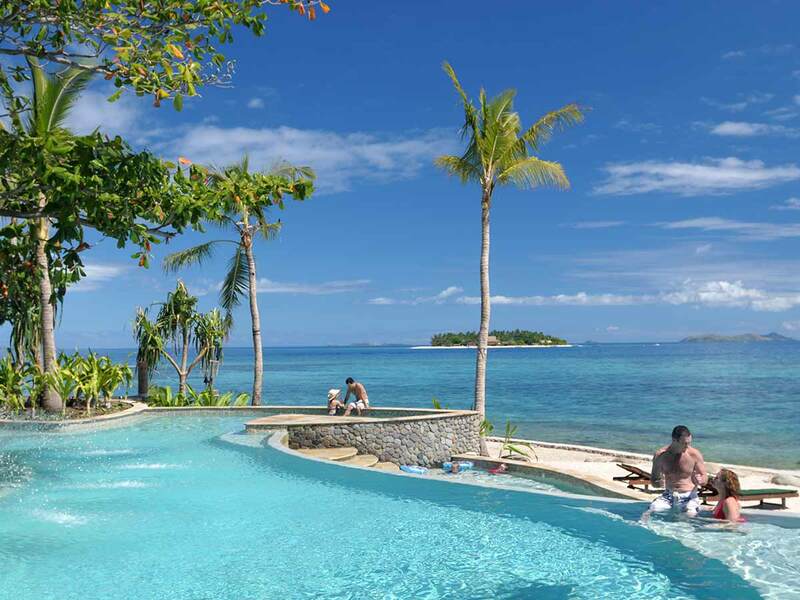 Treasure Island Fiji is the perfect place for active and relaxation-seeking travellers alike. Take up water sports like jet skiing, kayaking and surfing, feed the turtles, go fishing or simply stay and enjoy the incredibly luxurious facilities at the resort. Treasure Island Fiji has a range of land-based activities on offer including tennis, mini golf, volleyball or touch rugby. There’s also nightly entertainment, Sky TV in the bar for special sporting events and a range of incredible cultural programs including herbal medicine demonstrations. Kids can enjoy award-winning care from highly trained staff in the kid’s club, there’s a 5 Star Padi Dive Centre on site and day spa to help shake any excess stress! Swim or sunbake by the 3-tiered infinity pool, dine at one of over 8 restaurants, cafés and bars or arrange an incredible sandbar picnic for the ultimate romantic experience. There are 68 traditional Fijian-style bures spread out across the 14.5 acre resort. Each are modern, light, airy and surrounded by incredibly lush vegetation. Enjoy stunning ocean views, wander straight out onto the sand and sway in the breeze in your own beachside hammock! Treasure Island Fiji has thought of everything—not only is the accommodation picturesque and cool, all bures are perfectly private, while still being conveniently located near the resort’s main facilities. Interconnecting rooms are available for larger groups and extra beds can be arranged on request. Spend your days in the sun with a cocktail in hand or head out for an incredible island adventure—whatever you want to do, it’s possible at Treasure Island Fiji—it really couldn’t get any more perfect! ***2 x Dinners for two adults served in Eluvuka Restaurant. Food only buffet or 2-course. ****Transfers: Nadi Airport Meet ‘n’ greet and a 20-minute vehicle transfer to Vuda Marina, followed by a 30 minute boat transfer. (Meets all arrival and departure flights) using Treasure High Speed. catamaran ex Vuda Marina. NOTE: If Infant booster seat is required a FJD$15 charge each way applies, (Payable direct to driver). ^Resort credit: Per bure per stay. Redeemable at selected food & beverage outlets, and activities. Credit is Non-transferable, not redeemable for cash. Unused portion is forfeited on check out. NOTE: Venues where resort credit can be used will be advised on check in. ^^Semi Submarine coral excursion for a maximum 2AD and up to 3CH (11 years and under) pending room type booked. Subject to weather and ocean conditions. Operates during scheduled times. There is no cash value and is non-refundable if not used during stay. If semi sub is unavailable an alternative activity will be offered to guests. ^^^Introductory Pool Dive: Valid for ALL guests aged 16 years and above sharing the same room. Can be used one during stay, should guest wish to continue diving (costs apply). Subject to availability and weather conditions. There is no cash value and is non-refundable if not used during stay. #Eat FREE – Must eat during kid’s club meal times and off the kid’s club menu. NOTE: Parents who want their children to dine with them outside of ‘children’s meal times’ can either purchase a meal plan or kids can dine off the A-la-carte menu, which will be charged back to the guests room account. Play FREE – At Little Treasure’s kids club. Stay FREE – (Kids 15 years and under) when sharing room with parent/s. **Flights are based on promotional economy class fares with checked luggage allowance per person. Flights departing Sydney are flying with Jetstar and include 20kg of checked luggage per person. Flights departing Brisbane, Melbourne, Adelaide & Perth include 23kg of checked luggage per person. Prices are correct at time of publication and are subject to change. Flights may not be direct or operate daily. Flights from Adelaide and Perth will be via Sydney, Brisbane or Melbourne. Subject to promotional fare availability.  Air surcharges apply during Australian school holidays and peak travel periods.